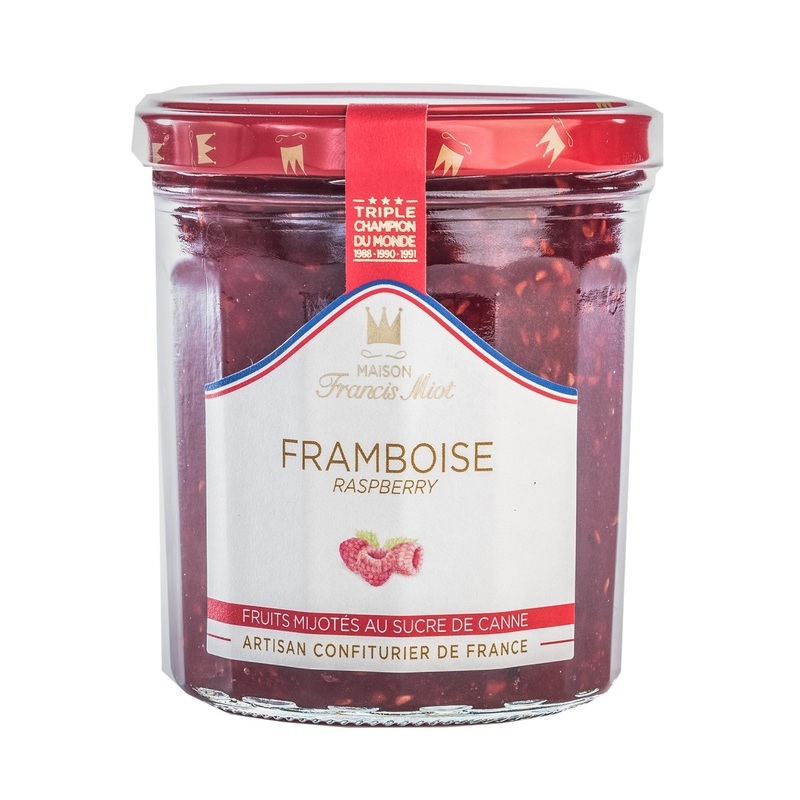 ​This jam is cooked with "willamettes", beautiful round raspberries with an intense red color and a delicious taste. Raspberry 60 %, cane sugar 39 %,concentrated lemon juice, gelling agent: fruits pectin (from the fruits). Allergen : Ø.